The Fifth TOMODACHI Fukushima “KaoLINK” program was held on June 23th 2018, at the Air Aroma Japan Co., Ltd. showroom in Tokyo. 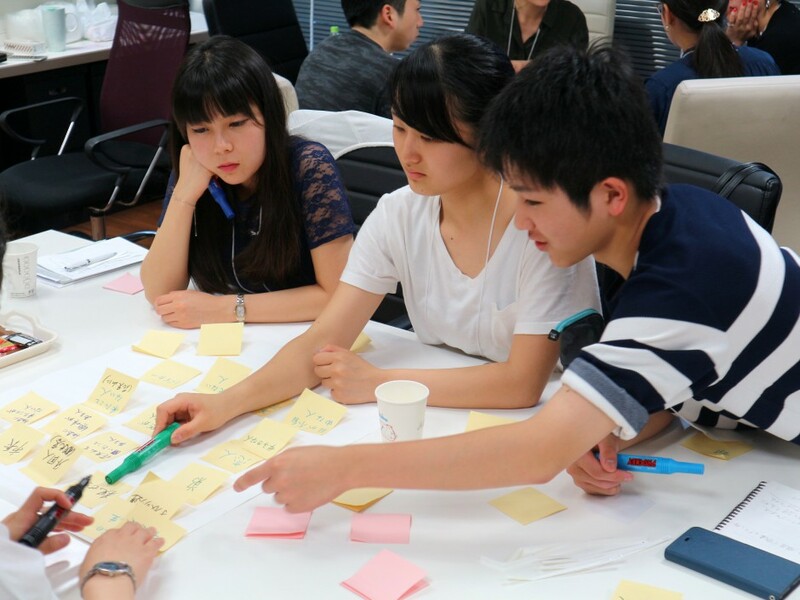 The aim of the 2017-2018 TOMODACHI Fukushima “KaoLINK” program is to discover “a charm unique to Fukushima” and connect it to “tourism in Fukushima through scents.” Therefore, participants learned about branding related to Fukushima’s tourism industry. For the fifth program, individuals active in the forefront of advertising and media industries were invited as lecturers. The lecturers advised the participants how to convey the full bodily experience and charm of “Nakayama Setsugekka” and “Hanamiyama,” which they experienced as part of the program. They thought about how to convey the impression they felt, as well as what they wanted to convey to individuals who had never experienced the events. They studied marketing and promotion strategies, which are constantly developing and advancing with the times. 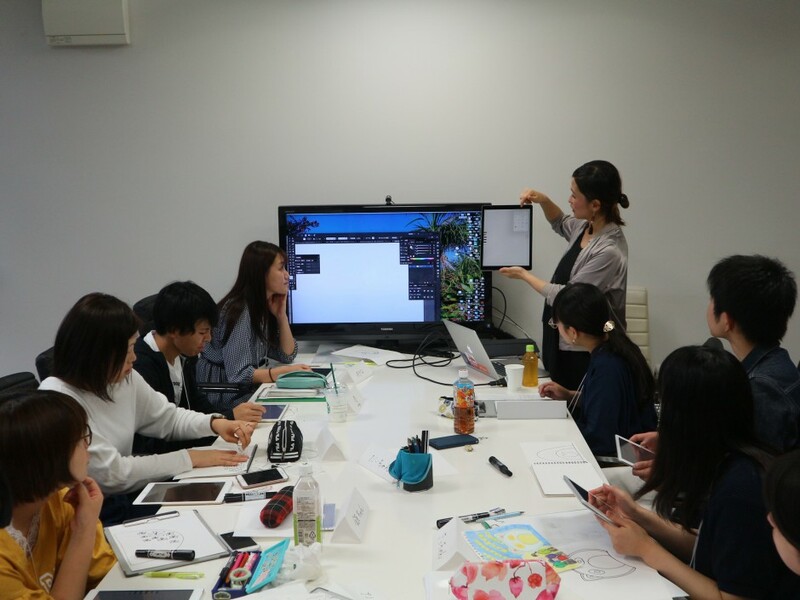 In the morning, Designer Ayumi Suzuki, who launched the design office Pensea & Co. in Kesennuma City, Miyagi Prefecture, was invited to host a workshop on designing images to be used as promotion tools. 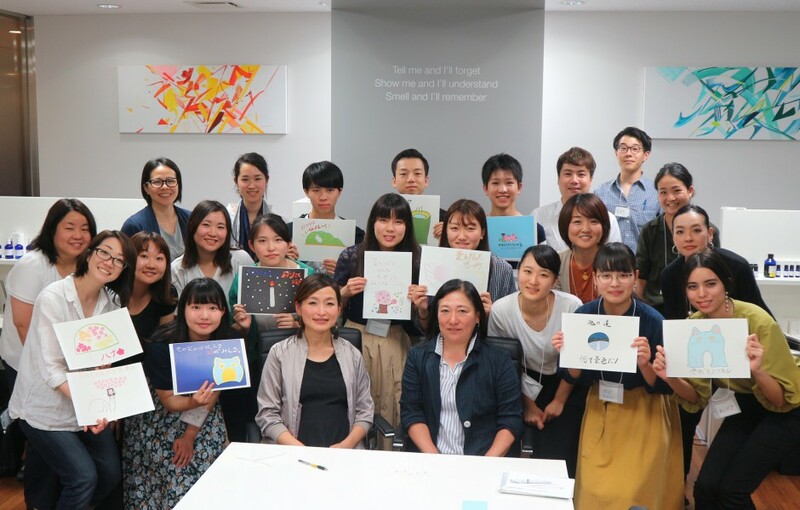 The participants downloaded and colored illustrations of pre-drawn “Nakayama Setsugekka” and “Hanamiyama.” Afterwards, participants added catch phrases to the completed illustrations. The catchphrases, which referenced the faces of guests who visited “Nakayama Setsugekka” and the snow rabbits seen from the summit of Hanamiyama, highlighted the participants’ memories and viewpoints, as well as their intuition and sensibilities. In the afternoon, the Representative Director of CUISINE KINGDOM INC., Ms. Misako Nakazawa, was invited as a lecturer to talk about advertising campaigns. CUISINE KINGDOM INC. publishes the magazine “Ryori Okoku,” which has been in publication for over 20 years, reaching a wide audience of professional chefs, culinary researchers, food critics, mass media, and all types of foodies. Beginning with Ms. Nakazawa’s question to the participants, “what do you think marketing is?,” the lecture was designed for a diverse audience comprised of high school students, university students and working adults to understand. The participants deepened their understanding of media and advertising that are rapidly changing. Throughout the year, the participants have felt, experienced, and learned how to link and promote “tourism and fragrance.” The next TOMODACHI Fukushima “KaoLINK” Program will serve as a culmination to help implement what they have studied.